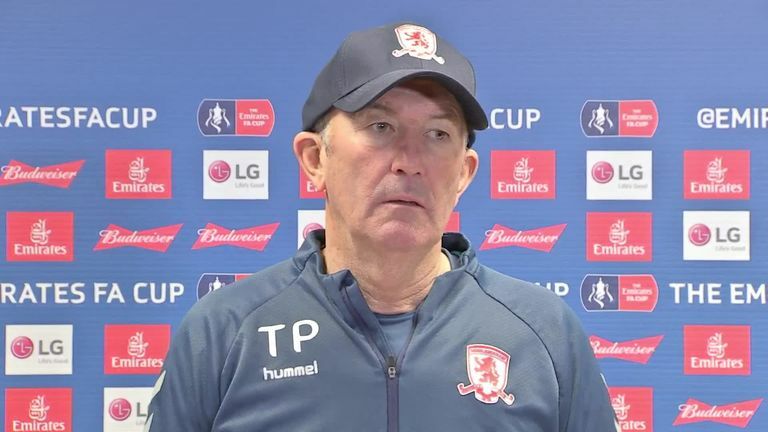 Tony Pulis says Middlesbrough's FA Cup fourth-round replay at Newport on Tuesday will not be a David vs Goliath clash. The Sky Bet League Two side snatched a dramatic injury-time equaliser when Matthew Dolan poked past Darren Randolph in January to force a second meeting at Rodney Parade. Newport stunned Premier League Leicester in the third round while Boro, who are fifth in the Championship and seven points behind leaders Norwich with a game in hand, thrashed League One Peterborough 5-0. However, Pulis refused to accept that the Welsh side were underdogs as he pointed to their win over the Foxes as well as their third-round stalemate against Tottenham in last season's competition. "I'm not so sure it's David and Goliath," he said on Monday. "They've played two Premier League sides and gone unbeaten, so I think they deserve a bit more respect than that." "We know it's going to be a tough game. Spurs and Leicester have gone there and they haven't won. 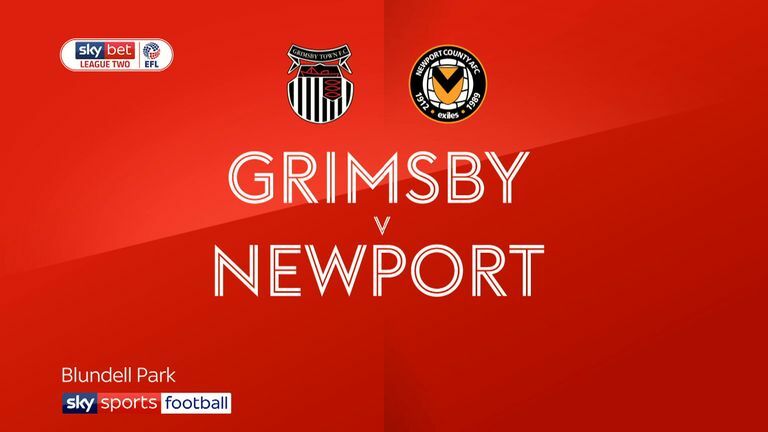 So that says everything about the spirit Newport have in their team. About the stadium, and about everything else." 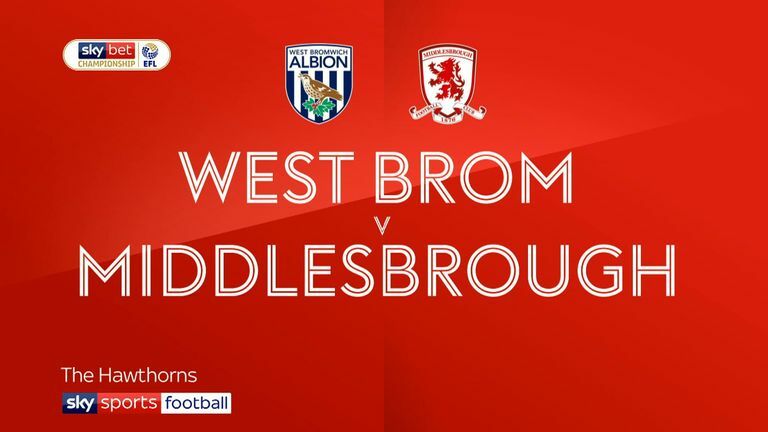 Boro defeated Championship promotion rivals West Brom 3-2 on Saturday and face second-placed Leeds after their replay at Newport. "It is unfortunate really, that the FA Cup is placed in between so many important games, but that's the way the fixtures go now," he added. "If you look at it, you've got the Premier League, the Champions League and the FA Cup is below that. "So, it's third choice in lots of respects when they come to doing fixtures. It's sad really, because I think it's still the greatest cup competition in the world." Welshman Pulis grew up in Newport and was full of praise for the town as he romanticised his upbringing. "The area I was brought up in was on the other side of the river than the ground is," he said. "It was a fantastic area to be brought up in. It was a wonderful, wonderful place. To feel and be part of a community. "The docks were vibrant, and steel works were down there. Everything was going on. Everybody was busy making a living and bring families up. Everybody was together. "If you ran out of milk when the shop was shut, you knocked on the neighbours' house and they gave you some milk. Then you paid them back the next day. Everybody looked after everybody." When asked if he had invited friends and family to the game, Pulis added: "Probably more (than the first tie) - I've ran out of tickets, so I can't give any more away!"